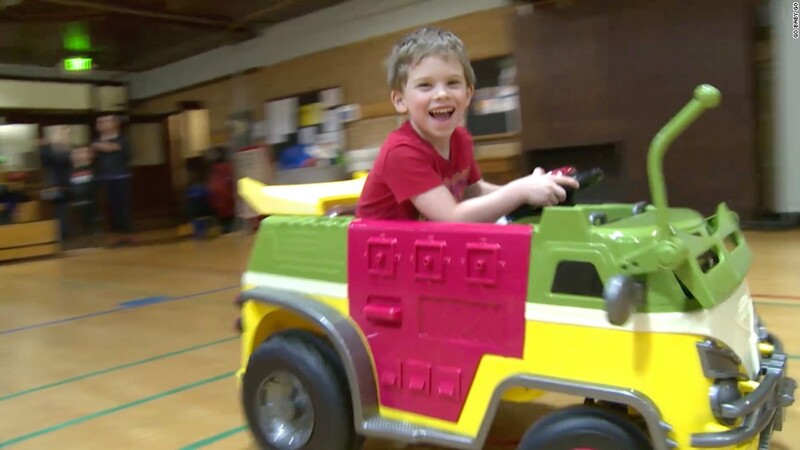 A growing grassroots movement is helping children with special needs swap wheelchairs for motorized toy convertibles. 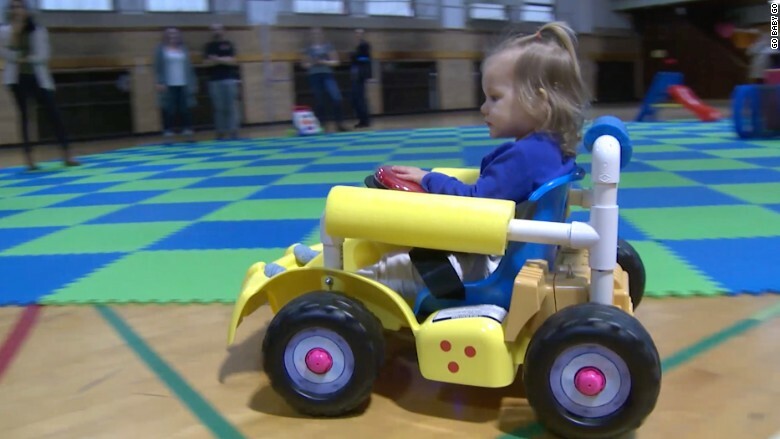 Go Baby Go, a non-profit research program based at the University of Delaware, offers a wheelchair alternative for children who aren't able to walk or need assistance. The effort doesn't replace wheelchairs but provides a fun, temporary supplement. Car designs range from Power Wheels convertibles to all-terrain toy car models. Although the models are the same as what's offered in stores, they're modified for kids with wide-ranging conditions, from down syndrome to health needs that require the aid of a ventilator. The program has modified 5,000 toy cars for infants and kids up to three years old, according to Sam Logan, assistant professor at Oregon State University's College of Public Health and Human Sciences. OSU opened its chapter in 2014. Go Baby Go is a program that modifies conventional motorized toy cars. The changes are simple but impactful. For example, Go Baby Go replaces a car's typical activation switch or foot pedal with tools easier for the children to maneuver. Meanwhile, new seats add extra support. The cost to modify each car is about $200. Experts say it's important to enable and encourage independent movement among children with special needs at a young age. Although motorized wheelchairs are common, they can cost $17,000 or more each. Wheelchairs can also be intimidating for kids under the age of five. 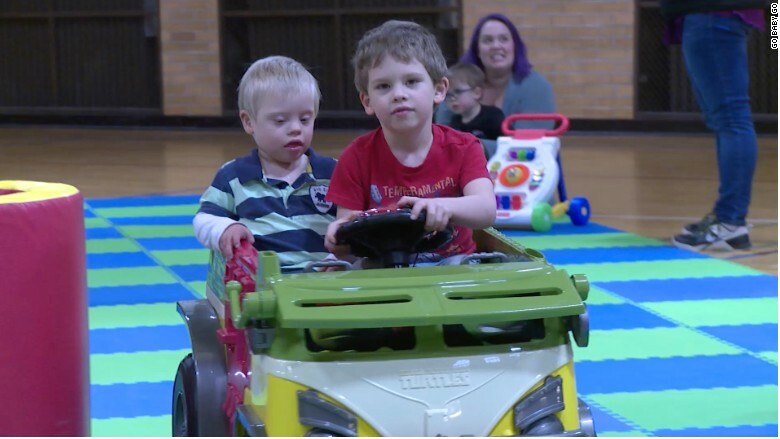 "Research shows their interaction with [rideable] cars help advance developmental, physical, social, language and cognitive skills," said Logan. Go Baby Go has modified 5,000 toy cars. "Now, parents, engineers and others are organizing and funding Go Baby Go efforts in their community," said Logan. "Anyone can do it, but you'll need someone with the expertise to make sure every [modified] car is safe." The total cost of modifying a toy car is $200. "Right now, there are no commercially produced [motorized] toy cars for kids with disabilities," said Logan. "It'd be great to have an off-the-shelf model designed for all kids for parents to easily buy."